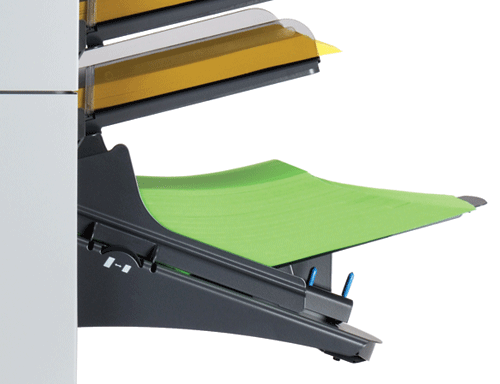 The DS-85i folding inserting system has the technology needed to handle a wide variety of business mailings at speeds up to 4,000 finished envelopes per hour. 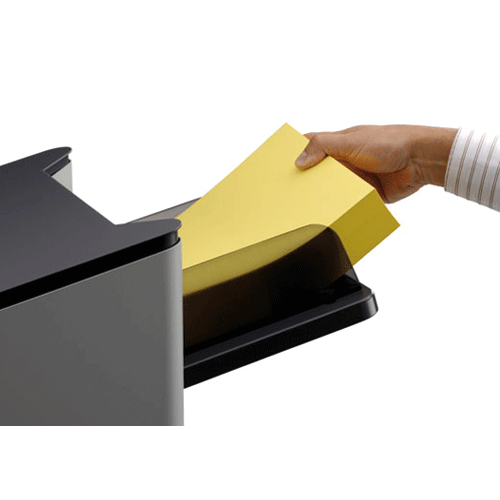 It will help you efficiently process checks, multi-page invoices, letters, legal-size documents, inserts and business reply envelopes. 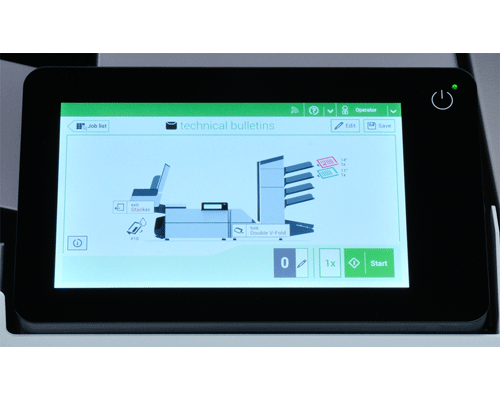 The 7” color touchscreen provides an intuitive graphical interface and paper/envelope presence indicators. Recall up to 50 stored jobs or create new jobs with ease. 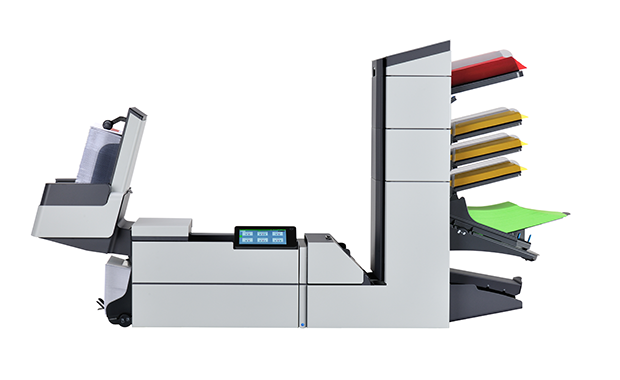 Load documents and envelopes, press start and the DS-85i automatically measures the materials and sets itself up for easy operation. 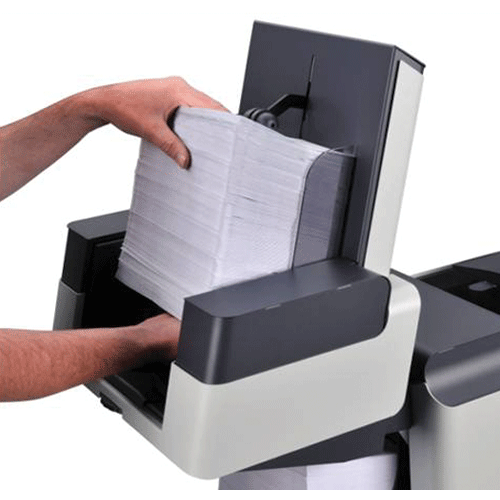 The optional CIS scanning system can read OMR/BCR/OCR allowing users to collate and process multi-page document sets quickly and easily.